Saturn is the 2nd largest planet after Jupiter and it may look beautiful through a telescope but it can display some ugly and terrifying storms. 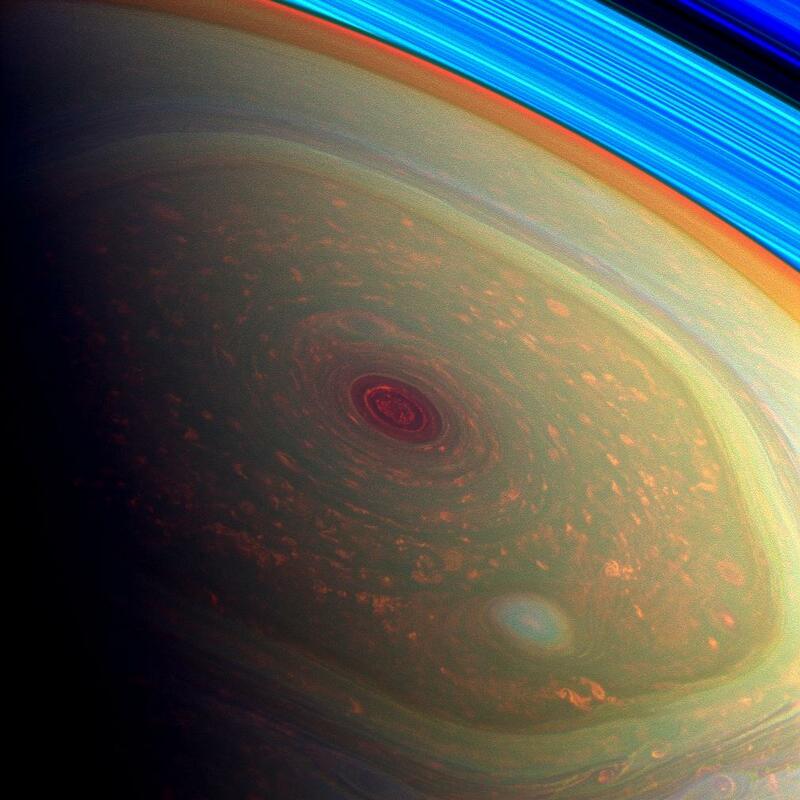 The image above for example shows a famous storm on Saturn located in the Northern hemisphere. This storm has been ongoing since 2010 and has left a huge tail that almost circles the entire planet. To give you an idea that’s 300,000 km which is 25x wider than Earth! Actually new data was just released today about the new findings on that storm. It turns out that deep within Saturn below its thick atmosphere is ice water, ammonia ice, and a third unknown which possibly could be hydrosulfide. 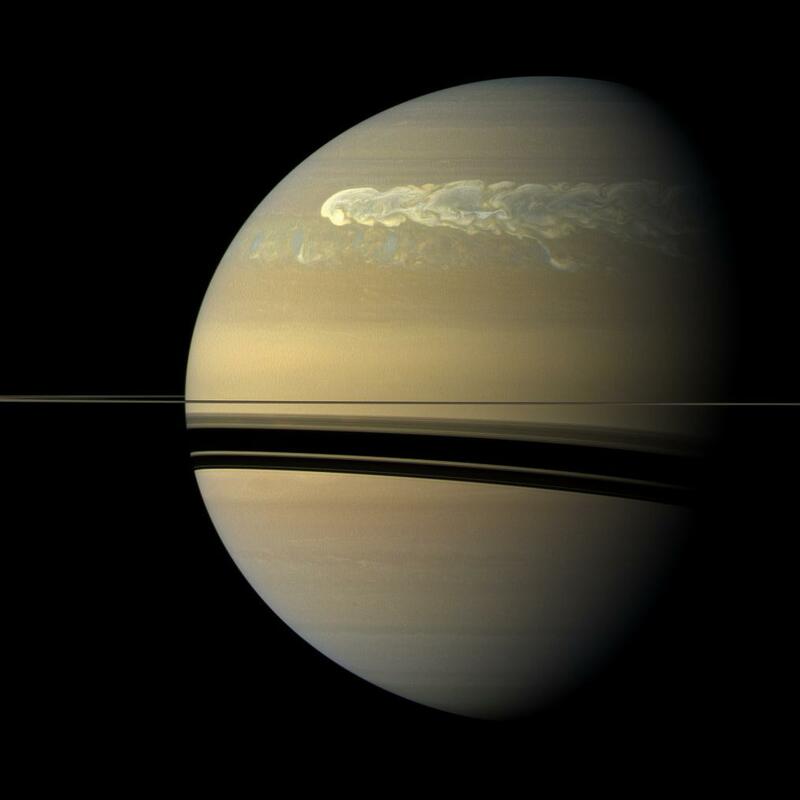 Now the storms on Saturn work similarly to our puny storms on Earth. Think about thunder storms where water vapor are pushed high into the atmosphere where it results into towering billowing clouds. That’s what happens on Saturn except it’s 10-20x taller and wind speeds of 500 km per hour! These storms happen once every 30 years or once every Saturn year. It’s a great time to be observing these storms to understand more about how they act on a much larger scale. Jupiter has similar storms like these but nothing quite to this size. For more detailed information check out the source here. Here’s more images for your pleasure. A closer look at Saturn’s storm. 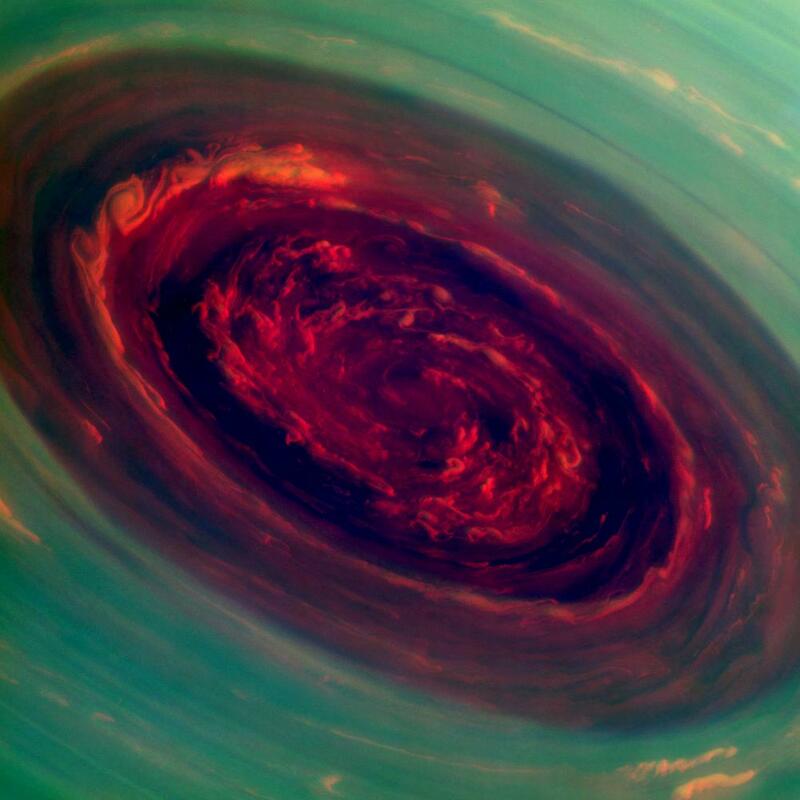 This is a different storm that is located on Saturn’s North pole. It’s a monster that is about 2,000 km wide. Things are starting to look scary. Let’s take a step back to see it in context. 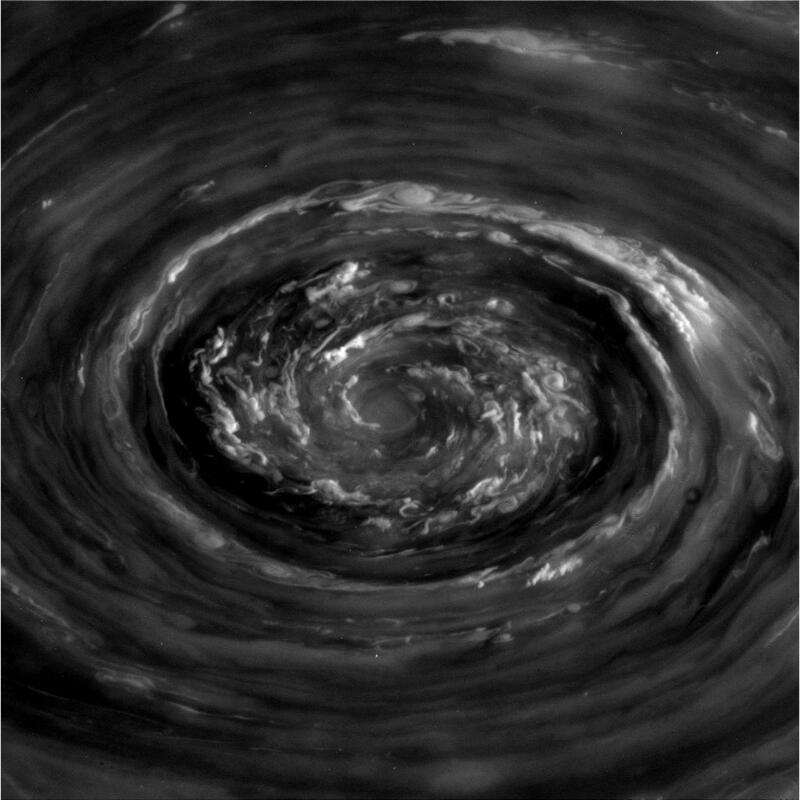 A much larger view of the storm located on Saturn’s North pole. It actually has a hexagonal shape which is very unique. This image shows you a little of how the storm is swirling around. 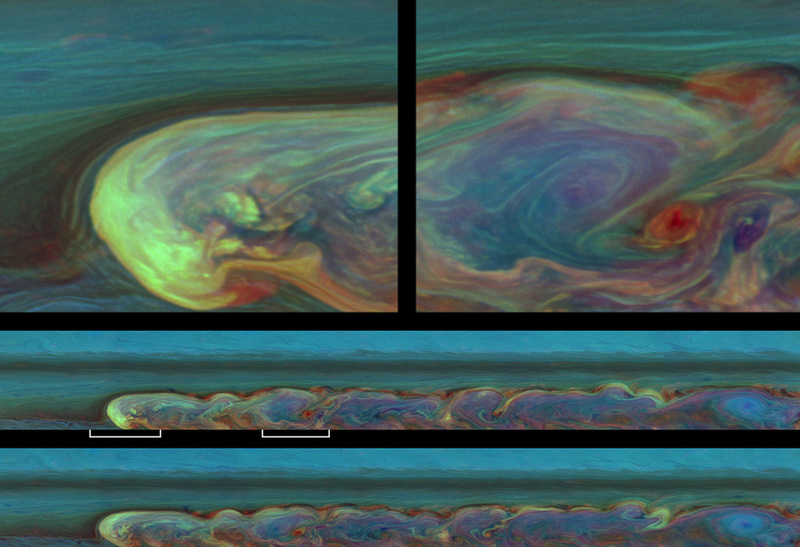 Recent news from NASA broke out today about new findings on Saturn's massive storms. These storms of Saturn are no joke and the details may surprise you. You should mention that the red-colored storm photos are false color, to preclude any confusion.